Hello! Happy Spring to you! I think it's spring at least. It snowed here today. But not enough to stick. The feet of snow in my yard has melted to inches and there are actually some spots where you can see the grass. I can also see promising little green buds in the gardens that aren't flooded or still covered with snow. And I've been saving dried hydrangeas for six years. I cannot tell you why I've never made one. Now I know there are lots of good reasons not to make one. At least not to make one like I did. First I tried to use a wire wreath form. You see dried hydrangeas are just that. And if you put any pressure on them at all they break. I was trying to use what I had so I pulled out a straw wreath form from my stash. Then I wired some floral sticks to the stems and stuck them in the wreath form. Only about 1/3 of the blooms broke off. I also used some floral pins - those are u-shaped pins that you can pin stuff to the form with. Then I kept at it, finding one way or the other to get the hydrangea blooms attached. It's a wonder any petals are actually attached to the wreath. No less than 100 petals fell off just while I was trying to hang the dang thing. And I'm a little worried that a really windy day will tear it apart. 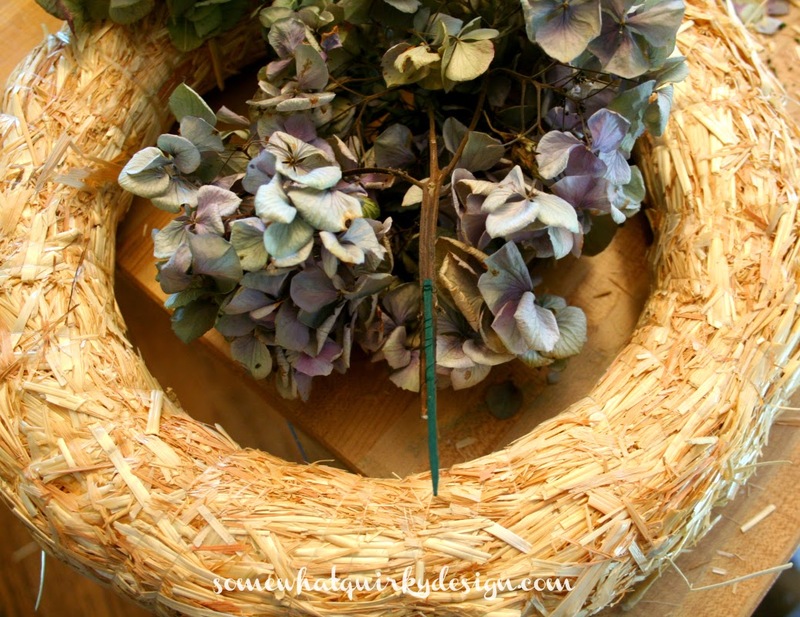 I have a dried hydrangea wreath. I have a plan for trying this again. I'm going to make it in the fall when I cut all the blooms for drying. I'm going to put them in some floral foam - the kind you soak in water and it waters the flowers (I think there is a name for that stuff, but I can't think of it and am too lazy to look it up). 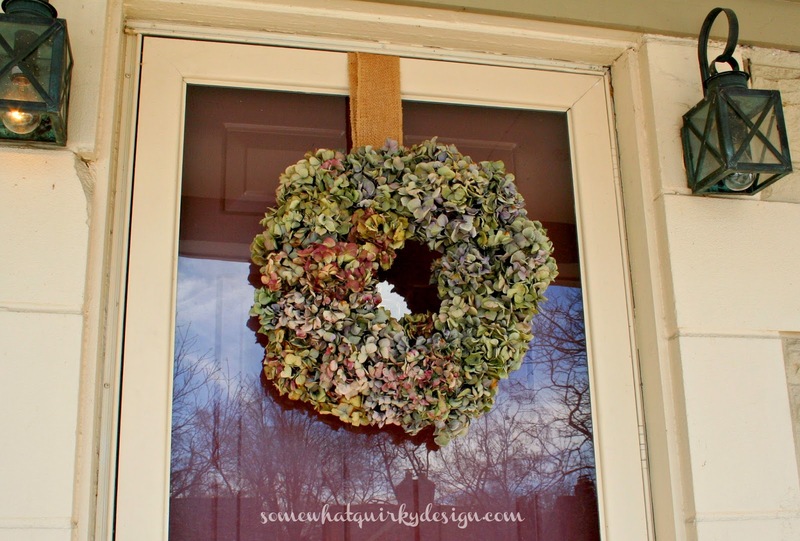 Then the blooms will dry on the wreath and be much prettier. In my mind this is the perfect solution. Orange you glad I didn't say Quickfire Hydrangea?! My dried hydrangeas turned out like shrived blue raisins. I have to figure out how to dry them. It looks lovely and I hope it survives. If not, sounds like you have a better solution for next year! Hello BFF! I so, love your blog! Love the wreath! Kuddo's to you because I've been wanting to make one for years but trying to attach the stems is always an issue as well as the mess. Yours looks wonderful, great job! That is one gorgeous wreath, Karen. I do hope it doesn't blow away. The green floral foam is called oasis. If it was me, I would put that inside so it would last forever. I love the colors. I love the hydrangea flower, such pretty colors. 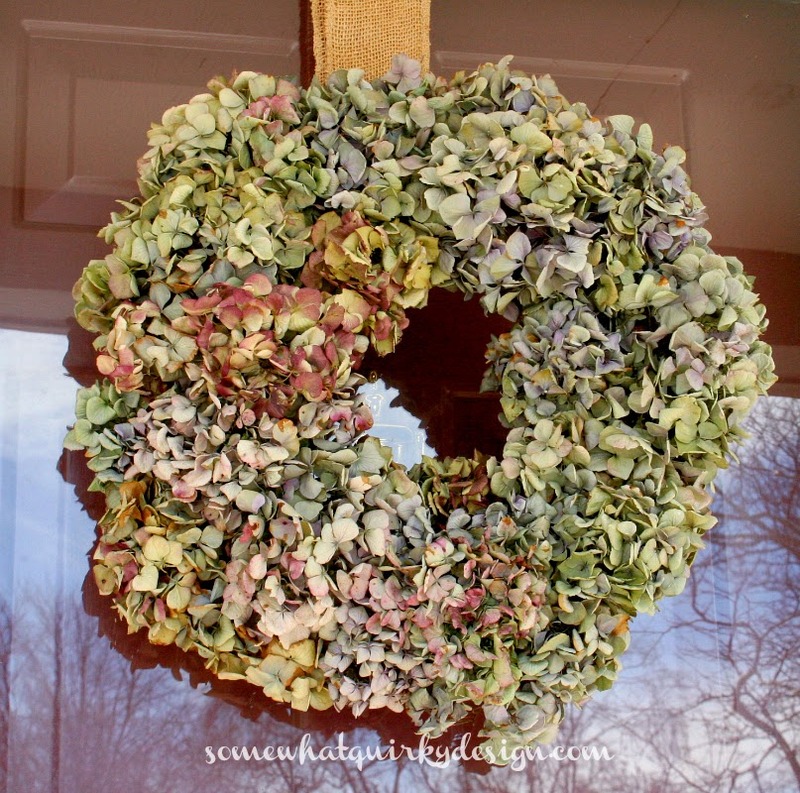 You have done a beautiful job of making the wreath out of the dried ones. Thank you for sharing with the Clever Chicks Blog Hop! I hope you’ll join us again next week! 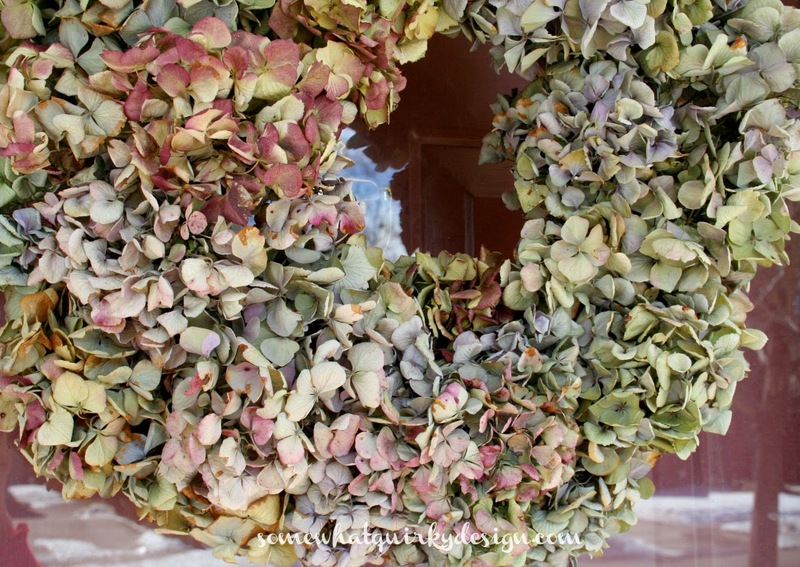 This is a really pretty wreath. I just love hydrangeas! It was nice to meet you at the midwest meet up, too.